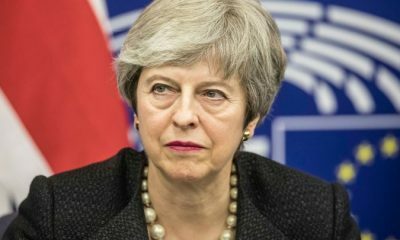 British Prime Minister Theresa May dropped some of the ballast on Thursday to try to convince MEPs to adopt her Brexit deal negotiated with Brussels ahead of a high-risk vote next Tuesday. 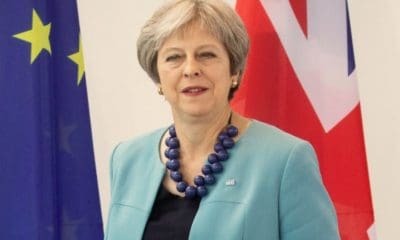 Weakened by opposition from all sides to the treaty of exit of the European Union, the conservative leader said on the BBC that the deputies could have the last word on the possible activation of a provision avoiding the restoration of border controls on the Ireland after Brexit, a very controversial point of the text. Referred to by the term “backstop”, this provision keeps the whole of the United Kingdom in a customs union with the EU and a further regulatory alignment for Northern Ireland. if no agreement on the future relationship between Brussels and London is reached after a transition period of 21 months after Brexit, scheduled for 29 March 2019. But the backstop, intended to preserve the peace agreement in Northern Ireland, is decried by eurosceptic deputies to the ruling Conservative Party, who see it as a danger of permanent stowage of the United Kingdom to the EU . 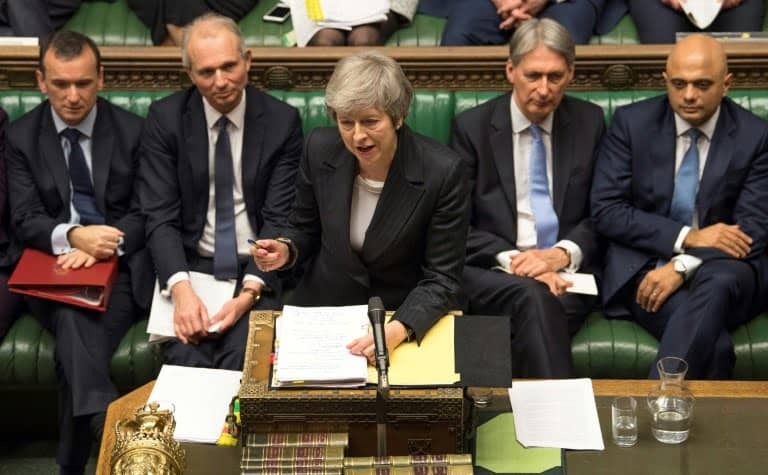 Dozens of conservatives have disassociated themselves from the government on the text, posing a high risk of rejection of the agreement during the vote on December 11 in the House of Commons, which would plunge the country into uncertainty and complicate the Brexit process. “We’re talking about the backstop as if it’s automatic, in fact, it’s not automatic,” said Theresa May, pointing out the possibility of extending “for a year or two” the transition period instead. “If we are going to use it, a choice will have to be made and I look at the question of the role of Parliament in this choice,” she added, hinting that the decision to activate the backstop could come back to MEPs, in an attempt to appease their revolt. 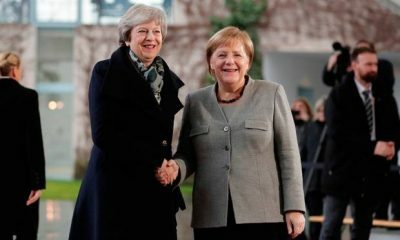 But in the face of pressing demands to renegotiate the compromise, Theresa May remains firm: her agreement is “good” for the United Kingdom and “the only one” that allows to implement the Brexit voted by referendum in 2016, while maintaining links with the European Union. In front of the deputies, the Minister of Finance came to the rescue: “The idea that there is a possibility to renegotiate at the last minute is simply illusory,” warned Philip Hammond on the third day of electrical debates on the subject. 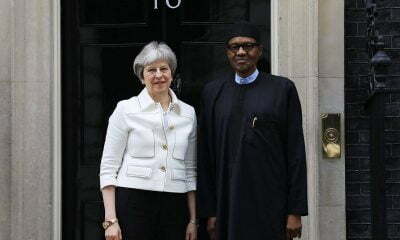 agreement in Parliament. “The time has come for difficult choices and practical solutions,” he added. The other options, according to him, are a Brexit without agreement, bad for the British economy, or no Brexit at all. 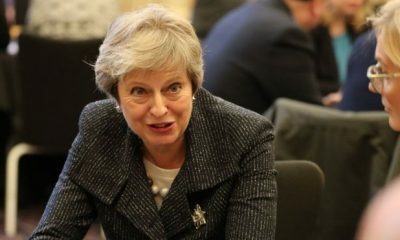 Former Conservative Minister and MP Nicholas Soames, who is loyal to the government, has admitted that it is “likely” that Theresa May will suffer a defeat during the December 11 vote. He lamented on the BBC the internal war between Tories, evoking a “poisoned atmosphere” with “colleagues raised against each other”. According to a parliamentary source, the parties are currently organizing to create a commission to examine alternative scenarios to the withdrawal agreement defended by the government. This commission could then prepare a counter-proposal and ask the government to negotiate it with European leaders. An assumption that would require to postpone the Brexit date. But the chief negotiator of the EU, Michel Barnier repeated Thursday in Brussels that the current agreement was “the only and the best possible”, closing the door at any time of the discussions.